Lock in a great price for Quaint Hotel Nadur – rated 9.1 by recent guests! This is the first time we had breakfast inhouse. May I say it was excellent.Nothing to complain about . Food excellent , good choice of food and drinks. Staff are very clean and gave good service. Breakfast area very relaxing and clean. The bed was super comfortable and the jacuzzi was nice too. Overall beautiful hotel with a good breakfast. The bed was really comfy and the restaurant we used to have dinner and breakfast was really tasty and mouth-watering. Also all staff was very friendly and helpful. Another think i really liked was their organisation of work. We happened to check in a bit late than the appropriate time. However we still found everything we asked for throughout a welcoming letter and other documents. My partner and I wanted to celebrate our 4th year together in quiet Gozo, and Quaint couldn't have been any better. We had the double room in Nadur, which comes with a smart TV, a jacuzzi, another flat screen TV and air-conditioning in every room. I notified the management beforehand of our anniversary and they did an exceptional job in decorating the room. everything was well explained. Breakfast was amazing, with unlimited continental breakfast and an option for another hot dish (pancakes and english breakfast). All the staff were extremely friendly and helpful. Highly recommend and will definitely return! We absolutely loved it!! We arrived at around 7pm, receptionist was already gone, however they send you an email with the door code, and you find your stuff at the recption, so you can just go up to your room, and pay the next morning. For breakfast you don’t have a big selection, however it’s cooked order by order, pretty satisfying 😊 Staff was friendly, and view from the penthouse was nice. The breakfast was delicious, and the staff were sure to provide me with all things necessary for my food intolerance. They were very helpful in whatever we needed, and helped me to surprise my boyfriend upon arrival in our room. Quaint Hotel Nadur This rating is a reflection of how the property compares to the industry standard when it comes to price, facilities and services available. It's based on a self-evaluation by the property. Use this rating to help choose your stay! 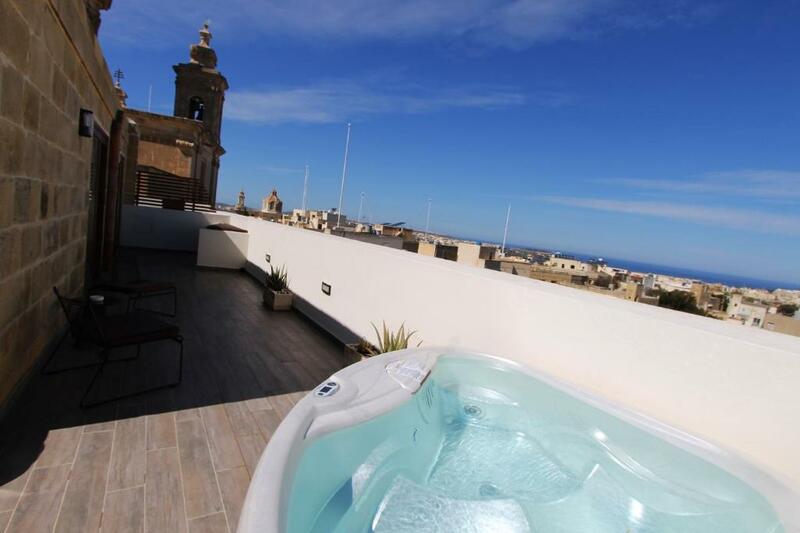 One of our top picks in Nadur.Offering a restaurant, Quaint Hotel Nadur is located in Nadur. Free WiFi access is available. Each room here will provide you with air conditioning. There is also an electric kettle. Featuring a shower, private bathroom also comes with a bath or shower and a hairdryer. You can enjoy city view from the room. Extras include a sofa, a desk and a safety deposit box. At Quaint Hotel Nadur you will find a bar. Other facilities offered at the property include luggage storage and an ironing service. An array of activities can be enjoyed on site or in the surroundings, including hiking and snorkeling. The property offers free parking. Gozo Ferry Terminal is a 5-minute drive away. When would you like to stay at Quaint Hotel Nadur? This elegant double room features air conditioning and an private bathroom with shower. This double room features a satellite TV, electric kettle and air conditioning. Private bathroom is fitted with a spa bath or a bathtub. Room rate is for 2 guests only. Room can accommodate up to 3 guests. This suite features a electric kettle, satellite TV and sofa. Room can accommodate up to 4 guests. This suite has air conditioning and a private terrace. House Rules Quaint Hotel Nadur takes special requests – add in the next step! Quaint Hotel Nadur accepts these cards and reserves the right to temporarily hold an amount prior to arrival. The terrace wasn't as clean as we'd hoped, although that is understandable due to the construction across. It would have also been far more convenient had there been 24/7 access to basic utilities and water. Our room was really damp. Also the hotel was noisy and sound travelled so you could hear other guests or people in the restaurant until the early hours. Lovely staff. Nice, well equipped, clean,bright room. Smelly shaft coming into the ensuite and bedroom. If you choose one of the breakfast menu items, it is oily. Good choice for breakfast. Location is good, quiet and close to all amenities. Very good service. There are no soap holders in the sink and shower. No space to leave wet towels to dry after use. No space to put our little personal bathroom stuff. In the room there is little space for our clothes. Breakfast was somewhat basic. Can be improved. The room was clean and comfy especially the mattress and pillows. The staff are very helpful and take immediate action if you need anything. A) There is misleading information in regards to the breakfast service. The directory says that breakfast can be served to the room and this option is not actually available. The quality of the breakfast itself is very poor. Only filtered coffee, not-freshed croissants and non-natural juice. When asking for a trey to take my breakfast upstairs I was given a small bar trey for drinks and was not offered with any help from the staff. B) The reception staff is not present at all times and when they are on duty they seem completely untrained. When asking for recommendations for a fine dinning restaurant in the area I was advised to use either the hotel one or a snack bar. I asked if a close Trattoria was good and they simply answered: Yes, it is good. Everything was great except we stayed in room 12 and there was a problem with the shower clogging. The breakfast was delicious and the location was perfect if you want to enjoy the Gozo Carnival since it is at the heart of it all. It’s an impersonal grey box. Hand-wringing ineffectual reception staff, rude breakfast staff. Tiny balcony in a wind tunnel. There were no cafes open because of carnival. Carnival is a 4 day rave for 4000 teenagers that finished at 3am. No warning of the late finish from the hotel. Eventually offered alternative accommodation but we refused as we didn’t want to be housed in another grey box. The bed was comfortable but by the time we got to sleep a bed of nails would have seemed so.